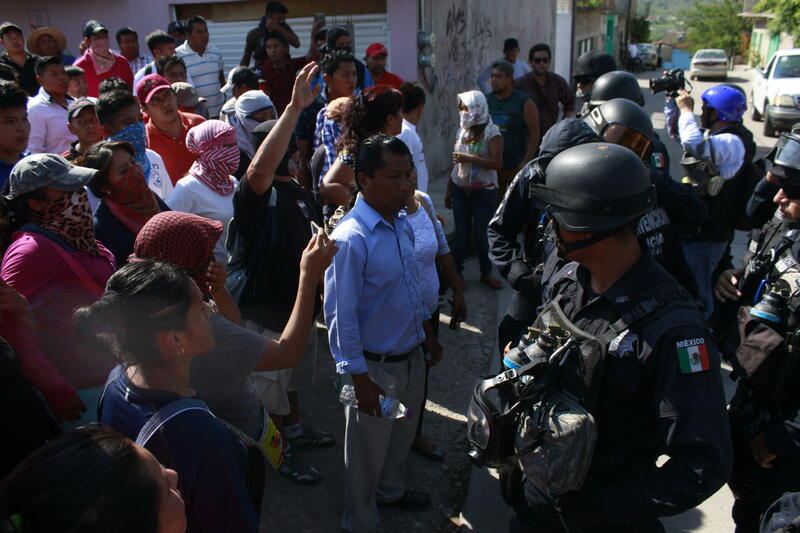 The final days in the run-up to local elections in Chiapas were marked by violence. 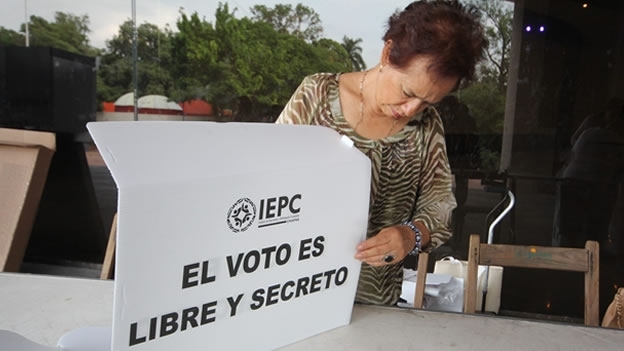 In terms of the alliance for local deputies, the Institutional Revolutionary Party (PRI) and the Green Ecologist Party of Mexico (PVEM) are in coalition for 16 of the 24 electoral districts. However, in at least 12 Chiapas municipalities there have been documented incidents and attacks between members of the two parties: in Playas de Catazaja, Oxchuc, Tzimol, Tumbala, Chilón, Cacahoatán, Tila, Frontera Comalapa, Ocotepec, Tuxtla Chico, Huixtla, and Mapastepec. 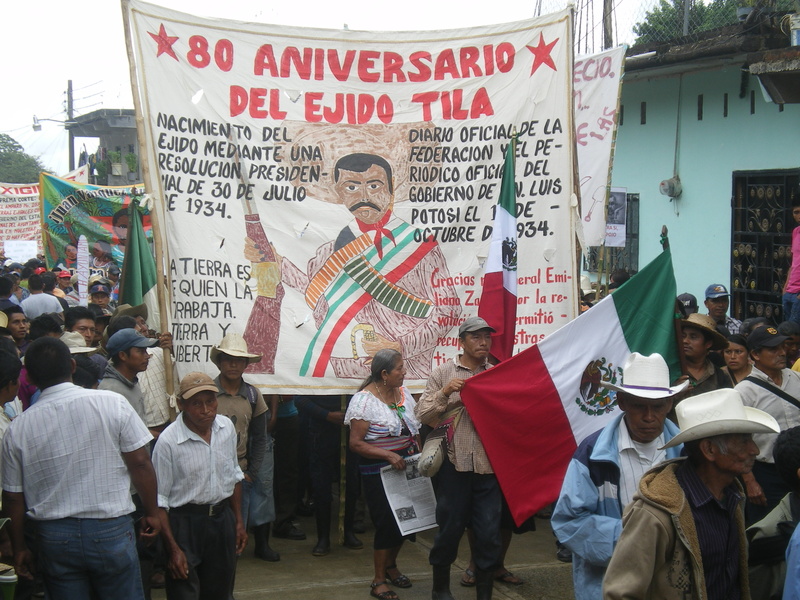 The ejidatarios from Tila, adherents to the Sixth Declaration of the Lacandon Jungle, denounced that on 20 June, groups pertaining to the Green Ecologist Party (PVEM) and the Institutional Revolutionary Party (PRI) had a confrontation, given that members of the PVEM “blockaded the crossroads of Jolpokitioc and Yajalón, using all the trucks from the City Hall” on the orders of the PVEM candidate, Edgar Leopoldo Gómez Gutiérrez, with the participation of masked youth who created “social intimidation because they have been seen on the paths near the ejido,” as the public denunciation noted. 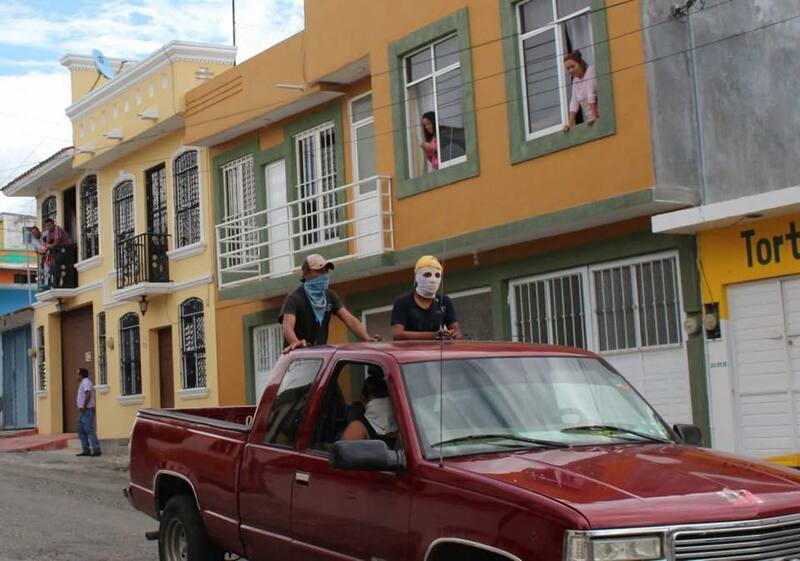 Furthermore, on 6 July, the ejidatarios reported that the PRI candidate, Eliseo Trinidad Trujillo, was attacked with a firearms, provoking the arrival of eight cars “full of masked men carrying sticks, rocks, and firearms, as guided by the municipal police director, Jorge Antonio Decelis Guillén, the son of the cacique Gustavo Decelis.” “All of this was taking place within our ejido due to the action of the political parties and their elections, which always end in mutual death, because it is a choice between criminals […]. We want to say that in our Ch’ol indigenous people settled on ejidal land, we have spent 72 years confronting attacks on our land and territory, and it is not a legal space for political parties to come to fight, because the ejido is protected by a presidential resolution from 30 July 1934, published in the Official Diary of the Federation on 16 October of the same year,” they added in their denunciation. On April 16, Chiapas´ state governor, Manuel Velasco Coello, announced the resignation of his General Secretary for Governance, Eduardo Ramírez Aguilar, who is to be replaced by the PRI official Juan Carlos Gómez Aranda. Ramírez Aguilar, a former mayor of Comitán, will return to the House of Deputies. In July 2013, he solicited the license for the position that he just left. Juan Carlos Gómez Aranda was a founding member of the Federal Congress’s Commission for Concordance and Pacification, which participated in dialogues with the Zapatista Army of National Liberation (EZLN). He held the position of federal representative in the time-period during which he was coordinating the PRI Chiapas group and oversaw the Southern Border Commission. Before taking up his new charge, he was head of the Secretary for Planning, Public Management, and Government Program. No explanation was given as to the change in the cabinet, though rumors point to differences between the Mexican Green Ecologist Party (PVEM, to which the governor belongs) and the Institutional Revolutionary Party (PRI), in a government that has been in alliance between these two parties. Rumors indicate that the resignation of Ramírez Aguilar took place following a meeting between the state potentate and the federal Secretary for Governance (SEGOB), Miguel Ángel Osorio Chong. Other sources stress the presumed connections between the state official with a “paramilitary organized crime group” as a possible motive.